Maybe this is uncouth, but as I watched the Vintners Hall of Fame induction ceremony on Monday, I was thinking about a fistfight. While this year's class of inductees has seven members, only three are still living, and just two took the stage. John Parducci is still around, but at age 94 he wasn't feeling hale enough to trek to St. Helena. Richard Sanford, at 70 the youngster of the group, gave a thoughtful speech; it was interesting to learn that the rejection he felt as a veteran returning from Vietnam led him to want to work the land. 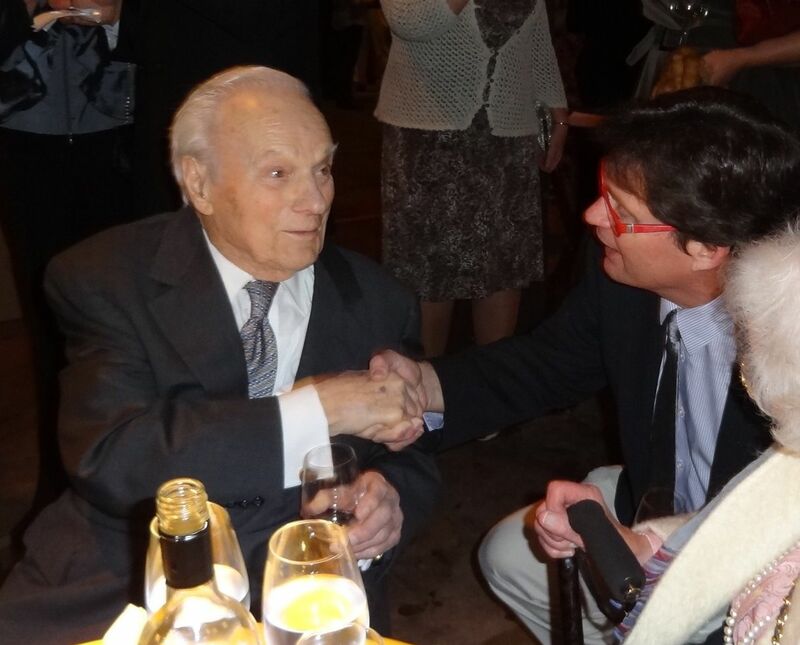 But the emotional highlight was 97-year-old Peter Mondavi Sr.'s induction. Each inductee had someone to introduce him, and someone to accept the award. The luminary who volunteered to introduce Peter was Margrit Mondavi, widow of Peter's brother Robert. Brothers fight at any age, but Peter and Robert's feud was particularly bitter, with the fistfight in the '60s that led to Robert being ousted from the family business, and a devastating lawsuit in the '70s that made it difficult for Charles Krug to carry on. Before the end of Robert's life, he and his brother reconciled, to the delight of all in Napa Valley; they even made one last wine together. And on a night when any number of close family members -- such as his son and heir, Peter Mondavi Jr. -- could have introduced Peter Sr., there was Margrit, speaking of the long separation. "We kind of came back," Margrit Mondavi said. "That was my most wonderful moment, when we could bring the family back together ... Peter, I'm saying this to you personally. When we came together again, when we tasted wines together ... that's the mensch I'd like to introduce." Peter Mondavi Sr. labored in the shadow of his extroverted brother for his whole career. But Peter was a pioneer in California winemaking. His breakthroughs in cold stabilization made possible the crisp, fruity white wines we enjoy today. One of our* challenges at the Vintners Hall of Fame is that, if we are to recognize someone, to do so when he or she is still with us to appreciate it. It's quite a moment to stand on the stage and hear some of the leaders of the California wine community applaud your legacy, and to realize your work and contributions have been judged as among the greatest. * I am Chairman of the Electoral College. Sitting in the barrel room of the CIA, surrounded by the plaques of previous inductees, I thought of times we got it right. Jess Jackson was here in 2009, and I'm glad for that. But we were too late on Jamie Davies and on Ernest Gallo. We have their plaques, but they did not have their moment to drink in our appreciation of them. Peter Mondavi Sr. walked off stage to tremendous applause, with the love of his extended family and the respect of the whole community. I would say "his peers," but at age 97 he has precious few left. Not that he ever truly did. 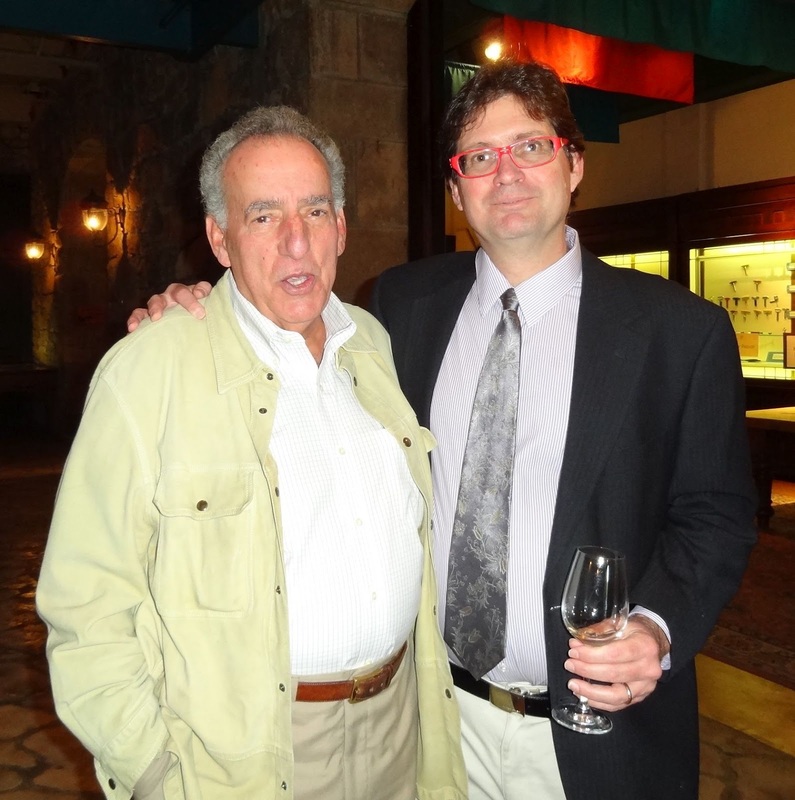 There would be no Vintners Hall of Fame without Reuben Katz, who just retired from the CIA. I won't be alone in missing him. Follow me on Twitter: @wblakegray and like The Gray Report on Facebook. Reuben's retired? Blake, run a correction, saying it ain't so. He's been a master at making the Culinary Institute of America's West Coast branch the institution it is today, with its smart use of those legendary quarters and the retaining of a truly encouraging faculty, and what diplomacy he's shown in creating the Vintners Hall of Fame. Have fun in retirement, Reuben, and I suspect you somehow will remain engaged in the food and wine scene. What a great thing to do to honor the great when they are still with us. I learned about the Mondavi feud when I read the excellent book "The House of Mondavi". Since then I became an admirer of both brothers that did so much for the wine industry. Wine with brunch: what do you drink?